How many manufacturers care once you’ve driven off the forecourt? Honda does! Your Honda is entitled to the benefits of Hondacare Roadside Assistance, which is available 24 hours a day, every day of the year. All of our cars are covered by the same benefits throughout their warranty period, i.e. 3 years from the date of the vehicle’s first registration. With HondaCare Roadside Assistance, your car is entitled to the benefits whether you are driving or if someone else is driving your car with your permission. And even if you sell your Honda while you have Hondacare Roadside Assistance, the new owner will benefit from the remaining period of cover. In an emergency call 1850 85 85 11 *If you are calling from a mobile phone please check with your network supplier for any special conditions. If the problem resolves itself before the assistance arrives, please call and let us know. If your car breaks down at home, we will send an appointed agent to your doorstep. If the car can’t be repaired, we will take it to the nearest Authorised Honda Dealer. If your car breaks down at the roadside, we will get help to you wherever you are in Ireland. Where the car can’t be repaired in a reasonable period of time you can use the Honda Recovery Assistance Services. If we can’t fix your car at the roadside, we will arrange for you and up to four passengers and your vehicle to be transported to the nearest Honda Dealer. Even if you are towing a trailer or caravan, this can also be recovered, although there are certain weight and size restrictions. Hire cars are subject to availability and to the supplier’s terms and conditions. Please note: Replacement vehicles cannot be supplied with a tow bar and therefore your caravan or trailer will, if eligible, be recovered under HondaCare Recovery Assistance with your vehicle. Should the unforeseen arise, it’s good to know that we can get a message to a relative or colleague to let them know what’s happening, where you are and that you’re safe. We’ll see to that. We also provide HondaCare European Roadside Assistance in the following countries to all Honda owners as part of their standard manufacturer warranty. Andorra, Austria, Belgium, Bosnia, Bulgaria, Croatia, Cyprus (excluding Northern Cyprus), Czech Republic, Denmark, Finland, France (and Corsica), Germany, Gibraltar, Greece, Hungary, Italy (and Sicily, Sardinia and San Marino), Luxembourg, Malta, Monaco, Netherlands, Norway, Poland, Portugal, Romania, Slovakia, Slovenia, Spain, Sweden, Switzerland (and Liechtenstein) and the UK. HondaCare European Roadside Assistance can help you if your car breaks down while you are travelling to Europe. And if we can’t repair it at the roadside, we will get you to the nearest Honda Dealer or approved garage. If you’re towing a trailer or caravan (subject to certain restrictions) we’ll transport that too. Hondacare European Roadside Assistance, gives you real peace of mind but we must make it clear that it isn’t motor vehicle insurance. 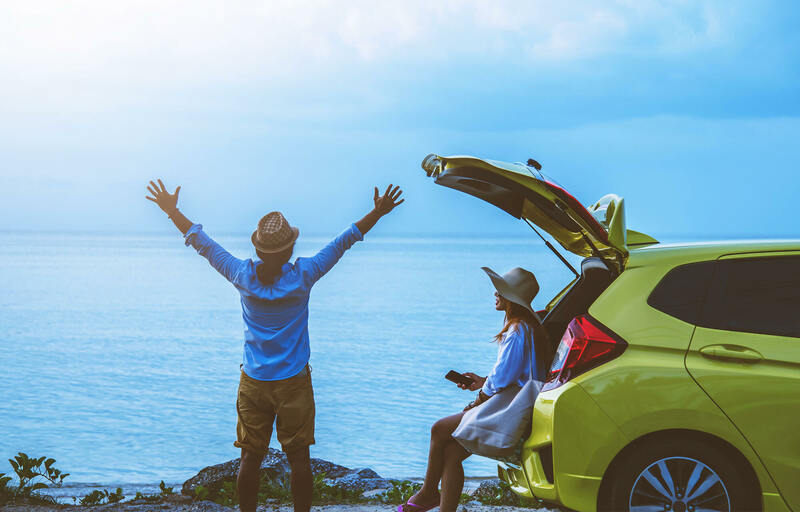 HondaCare European Roadside Assistance is available for vehicle emergencies only and the period of entitlement is subject to a maximum of 90 consecutive days for any one trip. You should also make sure your own travel insurance gives you all the protection you need. Don’t let a breakdown ruin your whole trip. We may at our discretion, arrange for the unaccompanied recovery of your vehicle if your car is immobilised for 8 hours or more to your home or to an appointed repairer in Ireland. And we can help you if the driver and all passengers are unable to drive following a breakdown, HondaCare Assistance, may at our discretion arrange for your vehicle to be stored before collection or repair with a maximum limit of €150. If you need to return and collect the repaired vehicle, we may, at our discretion provide travel and accommodation expenses from Ireland for one person’s direct costs up to a max of €900. Sadly, in the event your Honda is involved in a collision we can’t turn back the clock but we can make sure it is repaired the way that you – and Honda – would want it to be. What is a HondaCare Approved Body Repair Centre? In simple terms, a “HondaCare Approved Body Repair Centre” is a Honda Dealership that has access to a body &amp; paint repair facility (bodyshop) which meets the Honda standards. Even if they don’t have one on site, they will have access to one. This means that your local or chosen Honda Dealership will deal with the repairs to your vehicle from start to finish. Don’t get involved in an argument & don’t admit liability. For more information contact the Service Manager at your local Honda dealership.